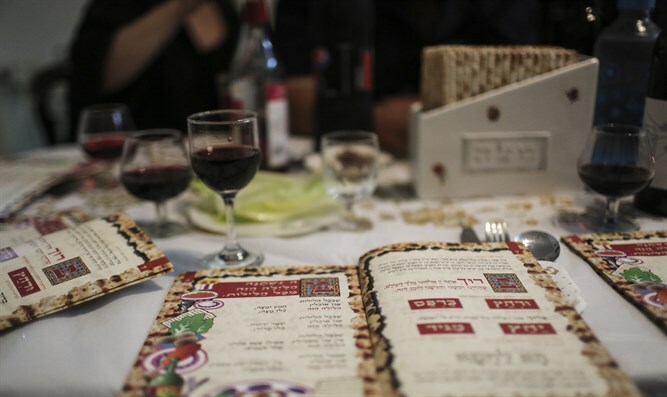 MainAll NewsInside IsraelFined for singing 'Ma Nishtana' on Passover? Fined for singing 'Ma Nishtana' on Passover? Haredi family fined for noise during Seder night in Bnei Brak, prompting appeal by MK Eichler. Chairman of the Knesset’s Special Committee for Public Petitions, MK Yisrael Eichler (United Torah Judaism) appealed to Environmental Protection Minister Zeev Elkin (Likud) to intervene on behalf of a family fined for a noise violation during the Passover Seder Monday evening in the predominantly haredi city of Bnei Brak. According to the fine, the haredi family violated noise laws Monday night with “late-night singing”. The fine did not take into account the Passover holiday or the almost universal Jewish custom of staying up late during the Seder night, with families often singing festive songs into the wee hours. The neighbor who called police to complain about the noise says he warned the family to quiet down before he went to the authorities. But MK Eichler argued that the fine should be waived in light of the holiday custom, adding that given the lax enforcement of the Hametz Law (which prohibits the public sale of leavened bread during Passover), it would be inappropriate to punish law-abiding citizens for adhering to a well-known and innocuous tradition. Eichler urged Minister Elkin to cancel the fine, calling the punishment an injustice.